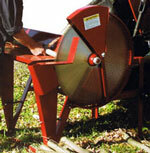 Troy-Bilt Wood Splitters Require Less Effort For More Production. Troy-Bilt Wood Splitters Are Maneuverable, Dependable, And Versatile. Troy-Bilt Wood Splitters Offers Strength, Power And Comfort, Making Them A Great Value.